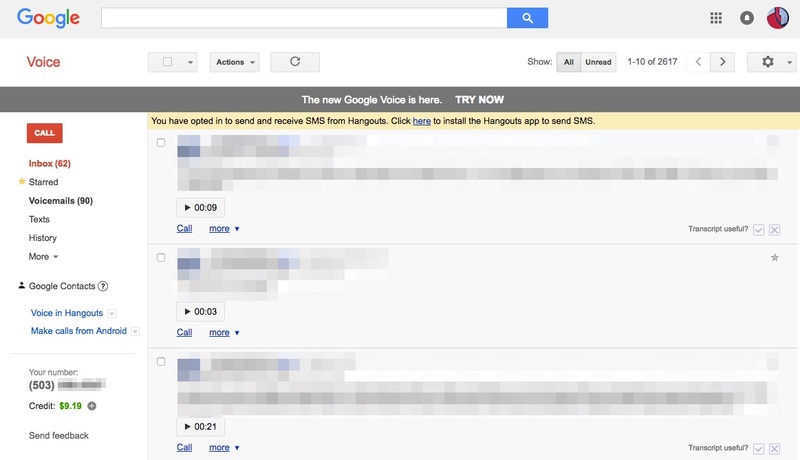 Oh boy, are we about to be treated to a new Google Voice? Maybe! At this point, clicking the “TRY NOW” link only refreshes the page and returns us all to the same spot in the current UI. In other words, we aren’t seeing a new Google Voice, possibly because Google has yet to flip the switch on a new UI or experience. We don’t know for sure, though, but this banner is most certainly new. It has been years since Google Voice received a major update, so assuming Google plans to keep it around for a while, a major update is probably needed. The Android app experience is quite awful, to put it lightly. And after all, now that Google has backed further and further away from Hangouts, you have to wonder if Google Voice is about to see a refresh that pulls it back into its own world. We’ll update you as we see or learn more.